Automotive Repair & Service FAQ's How often should I service my car? When it comes to regularly scheduled service, it’s always best to follow the manufacturer’s recommended maintenance and service schedules for your vehicle. Typically, manufacturers recommend service every 3K to 10K miles depending on the vehicle. Service at these intervals may consist of engine oil and filter change checking and adjusting fluids levels, checking/replacing air and cabin air filters and a tire rotation. In addition, and again depending on the vehicle, the manufacturer may require additional service at intervals every 30K or at 100K or 105K miles. Service at these intervals may include spark plug replacement, fluid changes and timing belt replacement. Again, with so many advances in automotive technology from year to year and changing maintenance requirements, it’s always best to follow your vehicle manufacturer’s recommended maintenance and service schedules. Check your owner’s manual for the recommended services and intervals. If for some reason you don’t have access to this information, give us a call and we can look it up for you. There is all sorts of information available through the internet to help would be do-it-yourselfers with car maintenance and repair. Some things are relatively simple and don’t require specialized tools. However, a word of caution; Cars today are much more complicated than they used to be. Many services require specialized tools and equipment. One wrong move with today’s intricate systems can cost thousands to correct. So before you tackle a service or repair on your own make sure that you have accurate and reliable information, a thorough understanding of job that you are tackling, the necessary tools and equipment and the correct parts and fluids. When in doubt, seek the service of a professional. Do you charge for diagnostics? Yes. Much like going to the doctor’s office for a medical problem, the automotive diagnostic process requires the time of a professional with specialized knowledge and tools. We typically estimate an hour’s worth of time to diagnose a problem. However, unlike some shops, if we can properly diagnose the problem in less time, we adjust our price down to reflect only the amount of time we spent. Do you have a machine that you can plug in and diagnose my car? There is no such machine. What you may be thinking of is an On-Board Diagnostic Scanner. In this case, we do have state of the art scanners that are kept up to date with the latest software and vehicle information. We use the scanner(s) to retrieve diagnostic trouble codes from your vehicle’s on-board diagnostic system. These trouble codes rarely pinpoint the cause of a problem. Rather they point the technician in a direction for more testing and troubleshooting in order to diagnose a problem. Can you perform warranty repairs? We can perform extended warranty repairs, not manufacturer warranty repairs. Refer to “Warranties & Routine Maintenance”. Do you honor extended warranties? Yes. Simply let us know that you have an extended warranty when you schedule your appointment. Then when you bring your car in, also bring your warranty paperwork (or a copy). Once we’ve diagnosed the problem we’ll work with your warranty company to determine if the repair is covered. We’ll keep you in the loop as well. We’ll let you know what we’ve found, whether or not your warranty company has approved the repair and the amount of your deductible (if any). Typically, warranty companies make payments directly to the repair facility, so all you would have to cover would be any applicable deductible. I need a smog test and my check engine light is on. Can’t I just disconnect the battery to clear it? Not a good idea, here’s why: 1) Disconnecting the battery on some cars can cause engine performance issues. 2) Your vehicle’s on-board diagnostic system includes system monitors that run various tests to determine if the emission components are working properly. Part of a smog test includes checking these monitors. 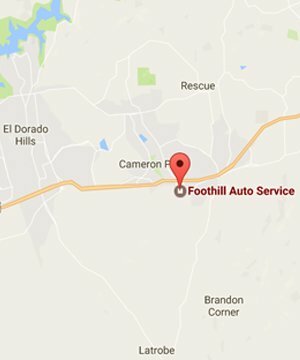 If they have not run, the smog tech can’t run the smog test. If they have run, and you have not resolved the cause of the problem, the light will reset. An illuminated check engine light is an automatic failure. If your check engine light is on, and you need a smog test, your best bet is to have the cause of the light diagnosed and then do the appropriate repairs so that your car will pass the emissions tests. ASE certification is a means to help gauge the technical competency of a mechanic. ASE stands for the National Institute of Automotive Service Excellence. It is a non-profit organization established in 1972 to improve the quality of vehicle repair and service through the testing and certification of automotive technicians. There are different levels of certifications depending on the number of tests taken and passed. The exams stress knowledge of job-related skills and are no cinch to pass. In addition to passing exams, technicians must show relevant work experience (at least 2 years) to become certified. To remain certified, technicians must retest every 5 years. Do you provide a warranty for your work? Absolutely! Our standard warranty is 12months or 12k miles whichever comes first and covers parts and labor. Will you install parts that I supply? Sure, but we don’t provide a warranty. So if the part fails, the labor to install a replacement part is not covered. Whereas if a part we supply fails, we cover not only the replacement part, but also the labor to install it for a period of 12months or 12k miles. Auto Service Done Right - Contact Our Shop Today.